In case you have somehow missed the news, 7.5 miles of streets in Los Angeles will be closed today for the benefit of cyclists and pedestrians. The event is called CicLAvia and it starts at 10 a.m. The above map shows the street closures. 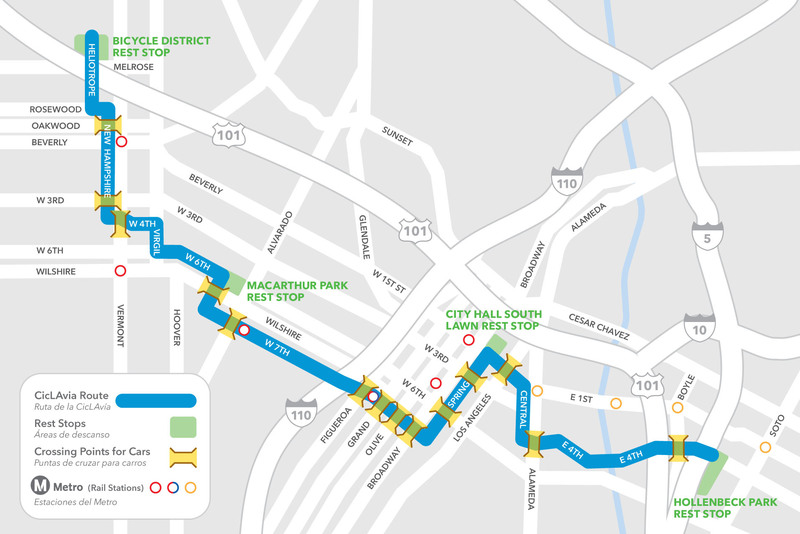 As part of the event, there will be many Metro bus detours in effect on Sunday from 9 a.m. to 5 p.m. For a full list of bus detours, click here. To read more about the event and how to access it via Metro Rail, here’s an earlier post. And here’s a good roundup of all the activities planned as part of the event at L.A. Streetsblog.